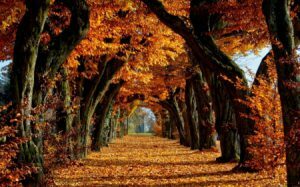 The crisp weather and beautiful foliage this time of year just begs us to get outside and be active. 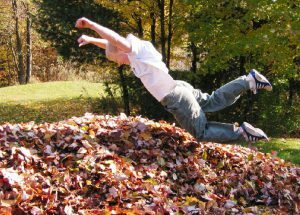 Yard work – plant bulbs for spring or rake and jump in a leaf pile! 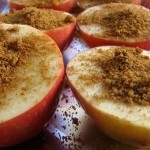 Try this baked apple recipe – delicious and healthy way to use those apples you picked! Cut the apples in half. Remove the core and seeds with a small spoon or knife. Place the apples in an ovenproof baking dish. In a small bowl, combine the brown sugar, butter, cinnamon and nutmeg. Spoon this mixture into the centers of your apple halves. Pour water into the baking dish. Bake apples for 40-45 minutes, or until apples are tender. Serve warm. May serve with plain or vanilla yogurt and a drizzle of maple syrup. Get out of the house and into the fun this Winter! 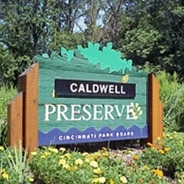 Cincinnati and Northern Kentucky offer a variety of indoor and outdoor activities for the entire family. Show off your new figure and your winter wardrobe while getting out on the town! An annual favorite, your family will enjoy the Duke Energy Holiday Trains at the Cincinnati Museum Center. Located inside Union Terminal, this season offers a train ride for the kids, scavenger hunt, music, dancing and a steam train trip through the Canadian Rockies in the five-story Omnimax theater. Enjoy being outdoors in the winter? Skate some laps around the Fountain Square ice rink. Whether you’re a novice or a pro, there’s room for all skill levels. There’s plenty of food and other attractions on the Square to fill an entire day! Spend some time with your significant other while taking in the holiday season on a carriage ride through downtown Cincinnati or Northern Kentucky. Enjoy a trip along the beautiful skyline while listening to music in your carriage. Heated blankets are available for those extra cold nights! Located near Burlington, KY, Kinman Farms has plenty of activities for both kids and adults. Take a hayride around the farm, see barn animals, ride a pony or relax around the bonfire. 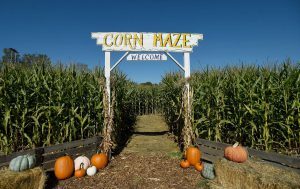 Try to make it through the 5-acre Corn Maze! Group rates and coupons are available on the website. Take the kids on a non-scary Halloween walk on Friday, October 21. Call today or visit the website to schedule your hike through a pumpkin lit trail. Hikes last about an hour. Get out and enjoy the scenery as you encounter costumed characters. Any weekend in October head on out to Lebanon, OH, for a day of fun and activities at Fall on the Farm. Make your way through the “Corn Field Express,” a 7-acre corn maze! 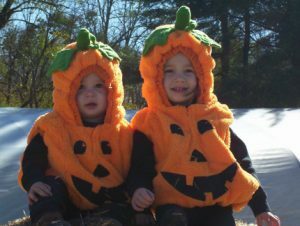 Enjoy pumpkin patch hayrides, a straw maze for the young ones, live goats, fresh apple cider, food, music and more. Admission is FREE!